Sulfonylureas and basal insulin as second-line antidiabetic medications may be associated with a higher risk of cardiovascular (CV) events compared with other second-line options, research suggests. However, an expert cautioned that the findings were ‘hypothesis-generating’ and should not change practice. A retrospective cohort study, published in JAMA Network Open, looked at the time to first CV event in 132,737 adults with type 2 diabetes who started taking a second-line antidiabetic medication either after taking metformin monotherapy or with no prior use of antidiabetic medication. Compared with dipeptidylpeptidase4 (DPP-4) inhibitors, basal insulin was associated with a twofold higher incidence of a composite of hospitalisation for stroke, congestive heart failure, ischaemic heart disease or peripheral artery disease (PAD). The risk of PAD alone was almost threefold higher with basal insulin, even after adjusting for CV risk factors and prior events, diabetes complications and previous use of CV medication. Sulfonylureas were associated with a 36% higher risk of CV events and a 65% higher risk of PAD. 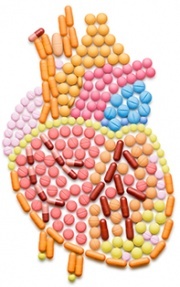 In comparison, glucagon-like peptide-1 (GLP-1) receptor agonists were associated with a 22% lower incidence of CV events – particularly stroke and congestive heart failure – compared with DPP-4 agonists. Thiazolidinediones and sodium-glucose cotransporter 2 (SGLT-2) inhibitors both had a similar risk of CV events to DDP-4 inhibitors. The study authors suggested that clinicians considered favouring GLP-1 receptor agonists, DPP-4 inhibitors or SGLT-2 inhibitors after metformin, rather than sulfonylureas or basal insulin. ‘Furthermore, our findings may suggest a role for these newer ADMs [antidiabetic medications] in managing cardiovascular risk among patients with type 2 diabetes who either are taking metformin alone or have received no ADM previously,’ they wrote. Professor Neale Cohen, Director of the Diabetes Clinic at the Baker Heart and Diabetes Institute in Melbourne, cautioned that the outcomes of the observational data may be confounded by significant differences between the patient groups in the study. For example, the basal insulin group had the highest rates of insulin complications. ‘SGLT-2 inhibitors and GLP-1 receptor agonists have a cardioprotective action, but I don’t think this is compelling evidence that sulfonylureas and basal insulin are adverse,’ he told Endocrinology Today. Professor Cohen noted that most of the effect was seen with sulfonylureas, which were becoming less common as a second-line agent in Australia. ‘On its own I don’t think this means sulfonylureas and basal insulin are dangerous therapies, so I hope it doesn’t change practice, but it raises the possibility, and proper randomised controlled trials need to be done.’ He cited the soon-to-be completed CAROLINA trial which was examining the safety of sulfonylureas and DPP-4 inhibitors. JAMA Network Open 2018; 1: e186125.